We are expert in Micro Finance Software Development, generally which is known as Money Market Software. 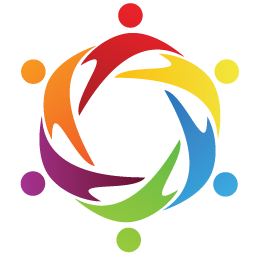 We are going to be a leading Micro Finance Software Company in India. Micro Finance is the provision of financial services to low-income clients or solidarity lending groups including consumers and the self-employed, who traditionally lack access to Banking and Insurance related services. So this Para Insurance-Banking system may become backbone of rural economy. We have developed a number of Micro Finance software and all the software are still backing up to run the business of our clients with high satisfactory level. Our developed software micro finance solution is so easy to use, full of those features that clients need. 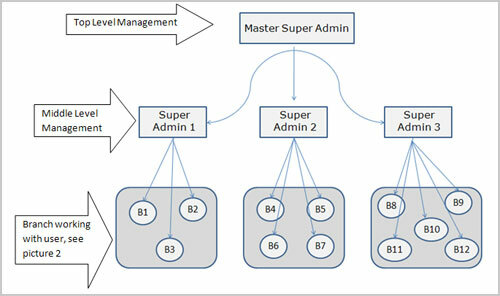 Master Super Admin : This is the head of the management with system settings, which controls the super admin, Admin, branch and user. It basically gives the command to the other panels regarding the type of work they have to do. Super Admin : This may be said as the assistant of the management, which controls the admin panel of different branches with all type of Report. Admin Pane : This is the medium for the users to work and is basically for branch office staffs. Users can do their entire jobs as per the permission of master super admin. Member Panel : This is consists of all the agents, those who collect the work from the field. Its shows all the records of the past business held with the customers, the invoices, total collection, downline members with business etc and one can check this out by login user id and password, where every user id is unique. Customer Panel : This is consists of all the entire clients, who makes the business deal with the company. The users can see their date of policy deposit, maturity date, enquiry of their payment(specially for RD), next due date for RD, the fine charges(if any) etc with the help of their id and a secret code. Monitoring fund flow user wise and Branch Wise hour by and day by. Super Admin will work only Selected Branch which Master Super Admin has given permission. Where user will work as per given permission by Master Super Admin. Every member will receive separated ID and Password, in our website, they can enter and see the project value.